The nature of internet browsing has consistently been in flux since its invention more than 25 years ago. Over this time, businesses and brands have fought to stay the forefront of meaningful trends in the pursuit of more traffic and customers. Ultimately, every online brand must adapt to certain developments – no matter how much they may not like change. 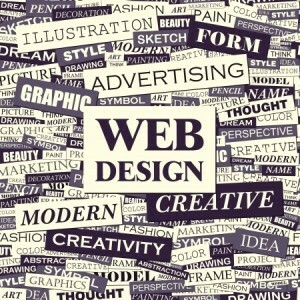 One such example is the invention of responsive web design. While there are some brands that have not yet adapted to this reality, most successful brands understand why it is such a necessity in 2018. Today, we’ll examine why responsive design matters and what benefits it can provide you. Those using search engines and social media to find what they need these days are incredibly picky. After all, who can blame them? With an unprecedented amount of resources available online for just about anything, pinging servers with a quick query is all it takes to find a better solution. All too many websites that fail to cater to mobile and tablet users are losing out on valuable traffic. With poorly-formatted resolutions, websites that only cater to desktop users are likely hemorrhaging traffic due to this dynamic. In contrast, those with responsive web design are in position to welcome and accommodate any and all visitors. Search engine optimization is the name of the game for many brands wishing to be visible in search results. In summary, SEO is the aggregate performance and value of your website in the eyes of search engines. For the past three years or so, entities such as Google have been examining every website’s compatibility with mobile devices. Websites that lack a mobile responsive web design are essentially being penalized by Google and others. This means that while you might otherwise rank in the 2nd position on the first page of search results, you’re instead being ranked much lower. This means less visibility, less traffic and less success. As such, implementing a responsive design can boost your visibility in search over the medium term. Responsive web design leads to better outcomes overall, in part because the overall user experience on the website is markedly better. Rather than having to adjust their devices, zoom in or scroll to make a particular item fit the screen, a responsive design will serve up the best resolution and format for every individual user. Businesses that have adopted responsive design have reported an increase in sales and conversions, which is a direct benefit from improving user experience. This is caused due not only to fewer people leaving your site due to poor formatting or a bad experience, but also because conversion funnels and check-out processes are made simpler and easier with a design that is ideal for the device(s) being used. Ultimately, responsive web design is something that should have been implemented yesterday. However, it is never too late to begin pinging servers with responsive options and benefiting from the advantages it provides. You’ll be able to retain more visitors, attract new audiences via search and generate better user experiences overall by following this advice. « Which WordPress Plugins Are Best for SEO? What Facebook Ad Campaign Objectives Are Important?